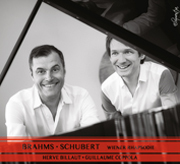 Guillaume's new CD devoted to Brahms and Schubert, 4 hands recorded with Hervé Billaut, is now available. Refer to the Agenda and save the date! Guillaume Coppola wish you a Happy New Year! Please follow him in concert (agenda regularly updated), on facebook, and on his Youtube channel! "Guillaume Coppola is a real talent. 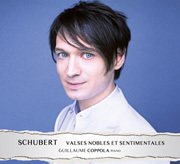 His very Romantic finesse and sensitivity set him among the elite of today's young pianist"(Altamusica, January 2013). His ability to choose and follow his own path has charmed and fascinated audiences ever since his arrival on the music scene. 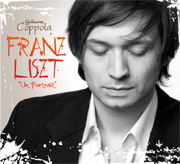 His CD "Franz Liszt - a portrait" was acclaimed by the media: Diapason d'or (magazine Diapason, ffff (Télérama), Selection 2009 (Le Monde), Coup de coeur (Académie Charles Cros) etc. In 2011, the magazine Classica named him as the one of the 10 stars of tomorrow, and in 2011 BBC Music Magazine described his playing, in an "impressive recital, as scintillating, enigmatic and stunning"
After that, everyone expected him to continue in the great Romantic repertoire, but he sprang a surprise with an album devoted to Granados, Danzas espanolas, which was again unanimously applauded. 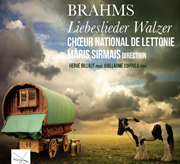 "Maestro" from the magazine Pianiste, "Soleil" from Musikzen, high ratings in Diapason and Classica etc... 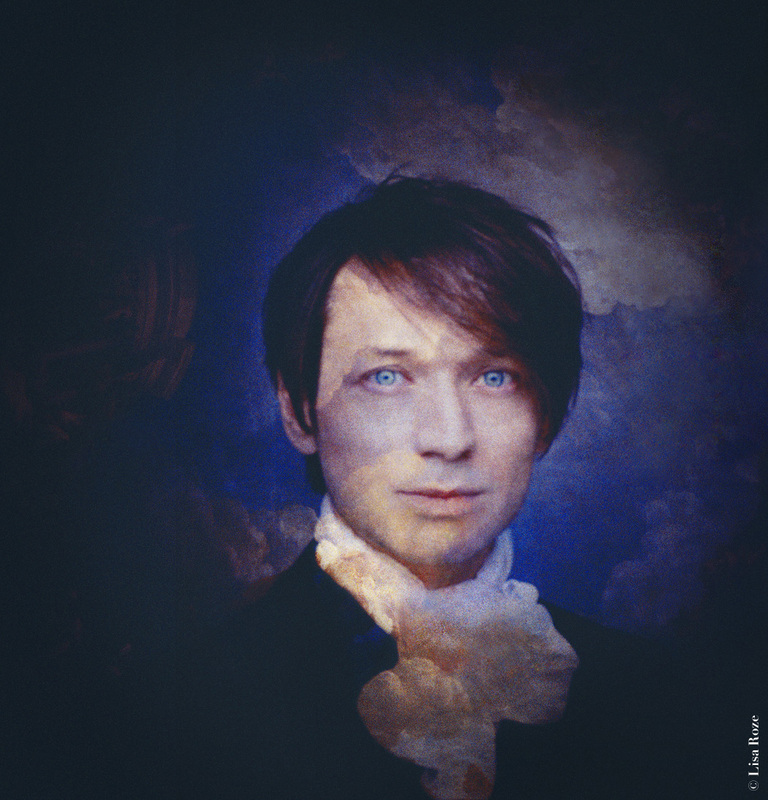 In a portrait entitled "un piano de soleil", the critic for La Croix wrote: "Like a second film for a film maker or a secon book for a writer, a second CD is particularly important in a musician's career. And this young pianist passes the test with flying colours! His second recording is overflowing with the same beneficial poetic clarity already noted in his first CD - a maserpiece - devoted to Franz Liszt." 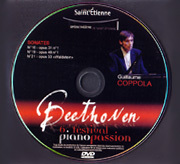 He gives recitals and concertos ( with the Orchestre National de Montpellier and Enrique Mazzola, the Orchestre Symphonique de saint-Etienne and Laurent Campellone, the Orchestre Philarmonique de Besançon etc ...) and chamber music enables him to share special moments with violonists (Régis Pasquier, Patrice Fontanarosa, his sister Cécile Coppola), quartets ( Parisii, Debussy, Voce, Alfama), pianists (Bruno Rigutto, Eric Le Sage, David Bismuth) and singers (Marc Mauillon, Laia Falcon, Bénédicte Tauran). Guillaume Coppola shows keen curiousity and impressive versatility. He has taken part in productions combining narrative and music, with the actors Marie-Christine Barrault, Didier Sandre and François Castang. He also works with composers and has given the world premières of works by Steven Stucky, Gao Ping and Isabel Pires. 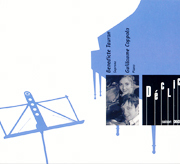 The latter dedicated her piano work Ombres in 2007. His training led him to Bruno Rigutto's class at the Paris Conservatoire (CNSM), then, after winning Premiers Prix for piano and chamber music, he followed numerous masterclasses in France and abroad. He was invited by the International Holland Music Sessions to take part in the New Masters on Tour concert series, and he has been awarded the Cultures France/French Government Declic Prize and first prize from the Lion's Club, the Fondation de France and the Cziffra Foudation. Coppola reveals the limpid simplicity that lies at the heart of Schubert's dance music with a magical touch, bringing enchantment to every page. Coppola's impressive Liszt recital ranges from the scintillating Rossini-Liszt La Danza to the late, enigmatic Bagatelle sans tonalité, with a stunning Funerailles as high point. His was the greatest merit : playing the Danzas espanolas of Granados at 9 in the morning, with a perfect blend of folklore and poetry. We can but admire in his playing the fine mixture of rhythms and colours, a melodic line in which poetic elegance and immediate charm (Andaluza) vie with the bitterness of duende (Melancolia). In these works, as in the rarely heard Allegro de concierto, his bright virtuosity is remarkable, in the tradition of the great Alicia de Larrocha. Guillaume Coppola is a real talent. His very romantic finesse and sensitivity set him among the elite of today's young pianists. In playing the Danzas Espanolas together with the Allegro de concierto, Guillaume Coppola has not choosen the easy way out. He takes up the challenge of playing with free virtuosity and, at the same time, meticulous care. The melody needs no emphasis, it is revealed with delightful, astonishing simplicity that flows naturally and with a kind of eager imperativeness that suits him perfectly. This is probably THE modern version of these pieces, on a par with the polished readings of Alicia de Larrocha, amongst others. What charms in these pieces steeped in the atmosphere of Spain! As a complement, Coppola presents a sparkling Allegro de concierto, a piece rarely heard in recitals nowadays, despite its flattering brio. He is particularly at ease in the nostalgia of Oriental and the light, heady playfulness of Melancolia. We admire the insidious misterioso of the eleventh piece, Zambra, a composition showing originality and wit in which he savours the countermelodies after having - quite rightly - played the beginning sonorously. 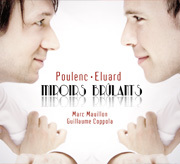 Guillaume Coppola is a wonderful young pianist. (...) His Danzas espanolas are twelve gems, sensitive, sensual, elegant, and with a kind of Iberian "Sehnsucht" that Coppola expresses exquisitely, with deep inspiration and musicality. Like a second film for a filmmaker or a second book for a writer, a second CD is particularly important in a musician's career. And this young pianist passes the test with flying colours! His second recording (Granados) is overflowing with the same beneficial poetic clarity already noticed in his first CD - a masterpiece - devoted to Franz Liszt. To play with sharpness, while showing nonchalance: therein lies the challenge of the Danzas. Sometimes almost motionless (Oriental), they can also be picturesque and delightfully sentimental (Sardana). Not much pedal, just the right "bite", and even humour (Valenciana), and there you are! This is probably THE modern version of these pieces. 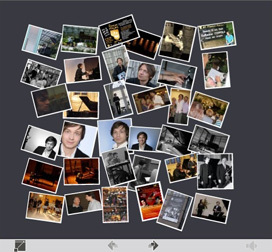 Guillaume Coppola's recital at L'Athénée Louis-Jouvet (Paris) confirms the talent of a young pianist who had already rallied everyone's support in 2011 with his first recording devoted to Franz Liszt (...) The Danzas espanolas of Granados, with their grace (Galante), strong rhythms (Andaluza, Bolero) and rich palette of sound (Oriental), take us deep into the Spanish soul. The ideally virtuosic Allegro de concierto was carried along by an impetus of complete freedom, with just the right tone, triggering well-deserved applause. 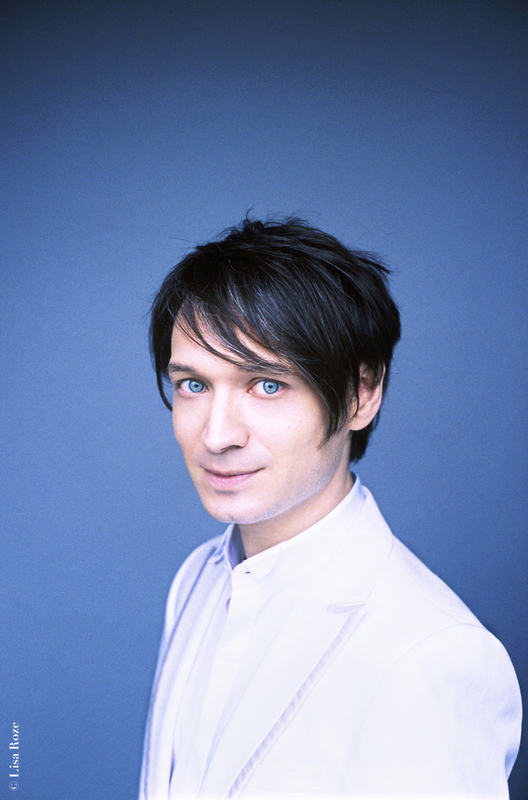 On his second album the young pianist Guillaume Coppola confirms the technical skills and inspiration that he had shown in his Portrait of Liszt. One of the features of this fine recording is the pianist's effective use of resonance to bring out the choregraphic nature of the pieces. Coppola's Granados is set to become a reference. Expressiveness, vigour and sensitivity are the requisites here, all of them qualities that Coppola possesses to the highest degree. He expresses all the dynamics with ease, brings out the beautiful sound to the full, uses just the right touch of drama and flexibility to create a perfect balance. Coppola's playing is so convincing that to compare him with Alicia de Larrocha would be superfluous. Coppola stands out as one of the finest pianist of our time. This CD is a must, for all lovers of great piano playing! The elegance and depth of Guillaume Coppola's playing gave the work all its density. The pianist brought all his talent to bear in this very difficult and most attractive score. We had an opportunity to hear once more or discover a young musician gifted with extreme musicality and supreme ease, performing a great and daunting milestone in the concerted piano repertoire: Franz Liszt's famous Totentanz S.126 - more than a milestone: a race between the piano and "the rest", an exercise almost as physical as it is pianistic. 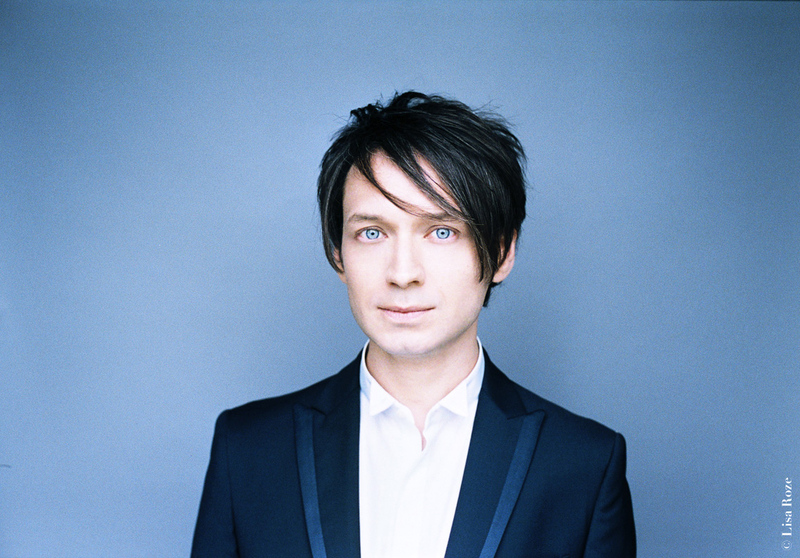 In short, a contest from which Guillaume Coppola emerges victorious, and Liszt with him! In his playing, the artist creates a felicitous and constantly varying assemblage, with great flights of lyricism, emphatic sounds, shimmering halftones, shifting colours. On the front cover: "Piano: the 10 stars of tomorrow"
"Changing of the guard. Ten major talents are already shining down from the lofty levels of their art. Classica is totally committed to these stars. Don't miss an opportunity to see one of these names should they be performing in your area". 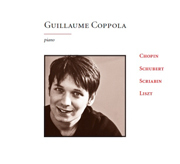 Guillaume Coppola: " With his unruly mop of hair, blue eyes, and mischievous smile, Guillaume Coppola's CD devoted to Liszt has been received to great acclaim. His passionate undertaking together with his moving cantabile leave us with a poignant portrait of this still to be fully explored composer whose many facets more than ever merit being highlighted. At 31, Guillaume Coppola is on the cusp of a glittering career. Rather than cutting corners, his performances are imbued with consideration. Qui va piano, va sano." Low resolution! To get the HD photos, please contact us here.